Drivers near Dallas, Irving, and Grand Prairie, TX, in search of a comfortable sedan with performance-inspired engineering should take a serious look at the VW Passat. Attractive both inside and out, the Volkswagen Passat offers a spacious, ultra-quiet cabin that’s outfitted with a long list of comfort and convenience features, making it the ideal vehicle, whether you’re commuting around town or hitting the long, open highway. Leasing offers drivers a number of advantages when it comes to getting behind the wheel of this nimble and ultra-modern cruiser. The big question you need to ask is, is it the right choice for you? At Metro VW, our team is committed to helping you understand the full range of available financing options. Continue reading to see how a VW Passat lease might be the best fit for your lifestyle. 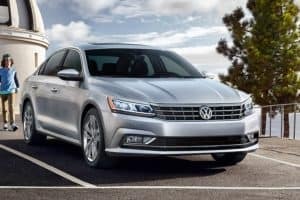 Why Consider Leasing the VW Passat? In terms of performance, the VW Passat offers remarkably responsive handling with an athletic 2.0L turbo engine that can produce up to 174 horsepower. All this energy is intelligently controlled by a 6-speed automatic transmission with Sport mode and Tiptronic®, which helps provide intuitive maneuvering through sharp turns and over rough road conditions. 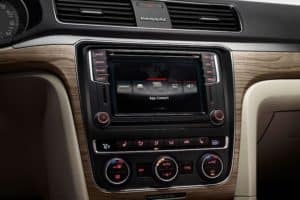 It also comes with plenty of advanced features, such as Volkswagen Car-Net® App-Connect, which allows you to connect to all your favorite apps and streaming services from wherever you are on the road. Leasing provides drivers a number of advantages over buying. A typical lease term lasts between two to three years, often resulting in lower monthly payments for the lessee. This is perfect for those who aren’t interested in a long-term investment. 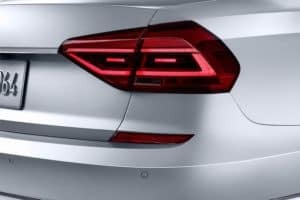 Once you reach the end of your term, you simply return your VW Passat and can then easily upgrade to the latest version or a completely different model. At the end of your term, if you wish to keep your vehicle, our financing team can help you adjust your terms, so you can work towards owning it. Once you’ve picked out the perfect model and trim, sit down with our knowledgeable team of financing experts who can help secure you the right terms to fit your lifestyle and budget. Simply complete a financial application and once submitted, a member of our team will quickly be in contact with you to go over a range of available options and answer all your questions. At Metro VW, we’re dedicated to providing our customers throughout Dallas, Irving, and Grand Prairie with a personalized experience to match them with the Volkswagen model of their dreams. To get started, stop by our convenient showroom or go online and schedule an appointment today!